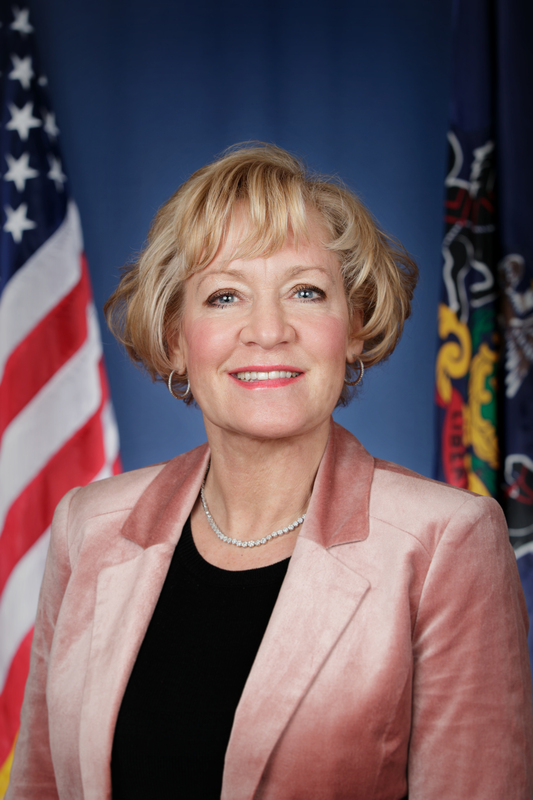 Harrisburg, March 26, 2019 – Democratic lawmakers today held a joint Senate-House hearing in Harrisburg on legislation aimed at making college more affordable. The joint state Senate-House Democratic Policy Committee hearing focused on the proposed “Pennsylvania Promise Act” legislation introduced by Sen. Vincent Hughes (D-Phila.) and state Reps. Jim Roebuck and Jordan Harris (both D-Phila.). The measure would help reduce tuition and fees for many students who attend community colleges, state system schools and Pitt, Penn State, Temple and Lincoln universities. The legislation (Senate Bill 111 and House Bill 244) would cover tuition and fees for high school graduates with an annual family income of $110,000 or less who are attending one of Pennsylvania’s 14 community colleges, state-owned or state-related universities. Students with a family income of $48,000 or less would also be eligible for help with room and board. The Pennsylvania Promise grants would cover the “last dollar” — the remaining amount after all federal, state, and institutional grants have been awarded. Similar laws are in place in New York and Tennessee. In addition, the legislation would provide grants to adult learners who seek additional credentials, including certification and college credit. She added that approximately 70 percent of college graduates are saddled with significant loan debt. Collectively, 44 million Americans owe nearly $1.5 trillion. Adjusted for inflation, he said college funding has declined by $700 million (29 percent) since fiscal 2007-08. Tom Foley, who serves as president of the Association of Independent Colleges and Universities of Pennsylvania, recommended that lawmakers: fully fund the PHEAA (Pennsylvania Higher Education Assistance Agency) needs-based direct grant program, fully fund the PHEAA “ready to succeed” scholarship program, encourage colleges to engage in collaborative efficiency efforts, and include private non-profit colleges in the student debt discussions. Angel Hart Funk, a senior at California University of Pennsylvania, discussed her student loan debt and worries about finding a job that will enable her to pay back her loans. Noting that the cost of tuition has more than tripled since 1988, she implored lawmakers to find a solution to the college affordability problem. “Finding a solution to student debt is no longer a want, it’s a need,” Funk said. Joining Boscola, Hughes and Roebuck at the hearing were Senator Lindsey Williams (D-Allegheny) and Reps. Danilo Burgos (D-Phila. ), Margo Davidson (D- Delaware), Tina Davis (D-Bucks), Isabella Fitzgerald (D-Phila. ), Steven Malagari (D- Montgomery), Robert Merski (D-Erie), Jennifer O’Mara (D-Delaware), Wendy Ullman (D-Bucks), Perry Warren (D-Bucks), and Jake Wheatley (D-Allegheny).